TRD -Black/Pink frame and graduated grey lenses. The Fendi FF 0128/S Sunglasses are known as 'The Fendista'. 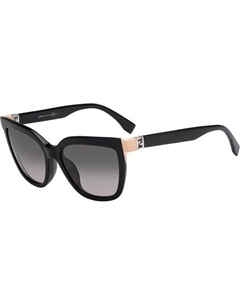 A ladies acetate sunglass made from the finest Italian acetate. The style is oversized in the 1980's style. The sunglasses are prescription glazable.